U.S. intelligence ships, aircraft, and satellites are closely watching a Russian military vessel in the Atlantic that has been sailing near a U.S. nuclear missile submarine base and underwater transit routes, according to Pentagon officials. 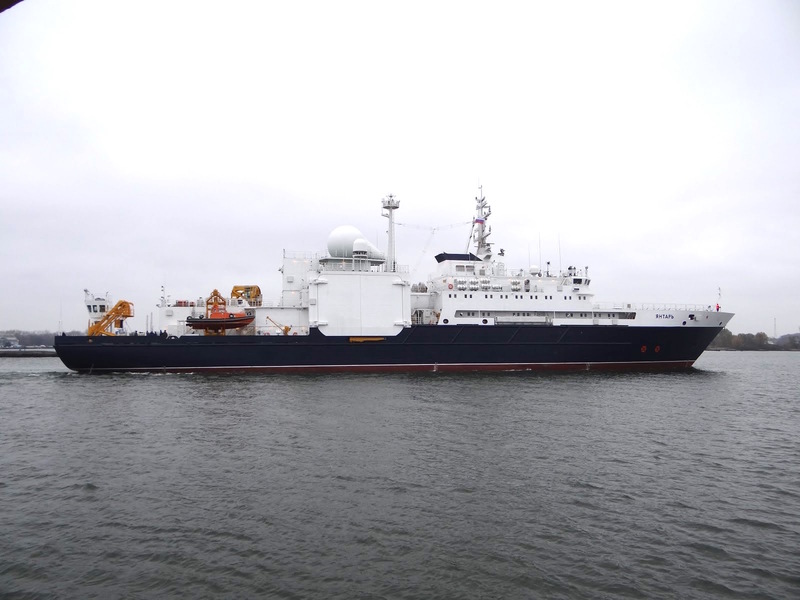 The Russian research ship Yantar has been tracked from the northern Atlantic near Canada since late August as it makes its way south toward Cuba. Defense officials familiar with reports on the Russian ship say the Yantar is believed to be gathering intelligence on underwater sensors and other equipment used by U.S. nuclear submarines based at Kings Bay, Georgia. The submarines, their transit lanes, and training areas stretch from the coastal base through the Atlantic to Europe. 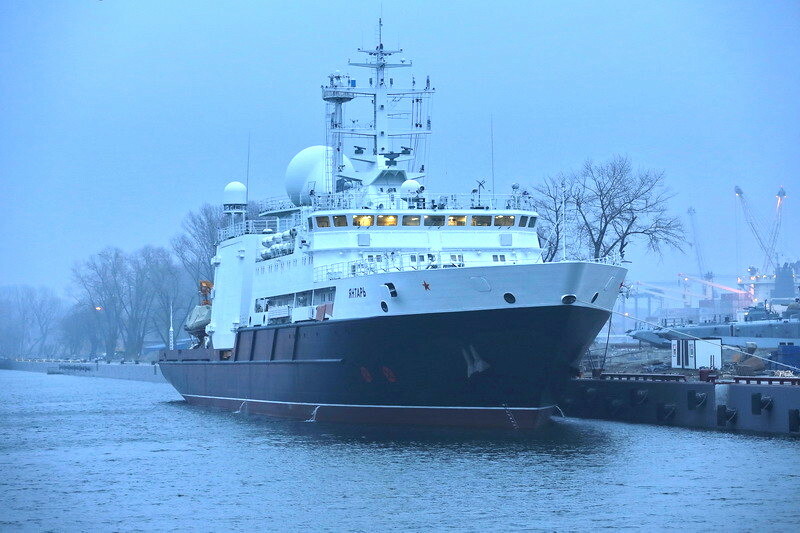 Intelligence analysts believe the ship, one of Russia’s newest military research vessels commissioned earlier this year, is part of a larger strategic intelligence-gathering operation against U.S. nuclear missile submarines and other targets. One official, who spoke on condition of anonymity due to the sensitivity of the information, said the ship is a concern because it is equipped with deep-sea surveillance craft and cable-cutting equipment. In addition to cutting or tapping into undersea cables, the Yantar’s gear also could be used to rescue submarines if they become entangled in underwater cables. A second defense official said the Yantar’s mission is not only to prepare to disrupt underwater communications. The ship is also part of a Russian underwater reconnaissance program to identify undersea communications trunk lines and nodes. A major target of the program is the Department of Defense Information Network, known as DoDIN. Moscow is seeking to map the global information network that is vital for U.S. warfighters and policymakers and is a key target of Russian information warfare efforts. The network includes dedicated military links as well as leased communications and computer systems. Another concern related to the sea-based intelligence activities is that Russia has been adopting new warfighting techniques the Pentagon has dubbed hybrid warfare. Hybrid conflict combines traditional military capabilities with information warfare techniques, such as cyber attacks. The disabling of undersea Internet cables could be a part of future hybrid warfare attacks as nations become increasingly reliant on global information networks, officials said. Non-government military analysts identified the Yantar off the coast of Nova Scotia around Aug. 24. More recently, an underwater military blog called "7 Feet Beneath the Keel," reported the Yantar’s location on Sept. 1 as 90 miles north of the Turks and Caicos Islands in the Atlantic Ocean, some 769 miles from Kings Bay. A Pentagon spokesman said the military is aware of the ship. "We respect the freedom of all nations to operate military vessels in international waters in accordance with international law," the spokesman said. The Yantar—Russian for "amber"—was built in a Baltic Sea shipyard of the same name and launched in last spring, the state-run Sputnik news agency reported on May 23. The ship will be used for deep-sea research and rescue operations. The ship is part of Russia’s Northern Fleet and is equipped with two deep-sea remotely piloted submersibles. "The ship carries the latest, most innovative equipment for acoustic, biological, physical, and geophysical surveys," the report said. 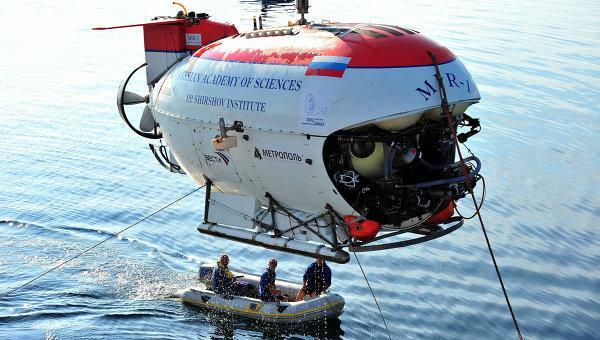 "The Yantar is equipped with a unique on-board scientific research complex which enables it to collect data on the ocean environment, both in motion and on hold. There are no similar complexes anywhere," said Alexei Burilichev, director of deepwater research at the Russian Defense Ministry, Sputnik reported. Steffan Watkins, a Canadian-based open-source intelligence analyst who monitors Russian ship movements, said the Russian navy sends such auxiliary vessels to the region once or twice a year to check on existing U.S. underwater sensors or cables that have been detected previously. The ships also search for new equipment on the sea floor that would reveal U.S. operations. 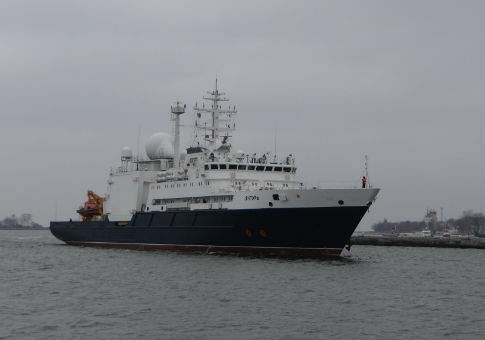 In April 2014, the Pentagon said it was watching two Russian spy ships, the Viktor Leonov and Nikolay Chiker operating in the Atlantic near Kings Bay. "I don't think the Yantar is actively pulling up underwater cables," said Watkins. "It seems more likely‎ they’d use their underwater sensors to map out defenses to prepare for future operations, and to avoid, blind, or destroy the sensors." Officials said another factor increasing U.S. concerns about Russian reconnaissance is Moscow’s recent adoption of a new military doctrine that places a greater reliance on strategic nuclear forces. In addition to research ships, Russia’s military also is building a new class of intelligence-gathering and electronic warfare ships called Yuri Ivanov-class vessels. Germany’s Bilt newspaper reported last month that the new spy ships are designed to track and follow U.S. warships. The ships will also provide communications and fleet management, conduct electronic warfare capabilities, and gather radio and electronic intelligence. The first ship was launched in July and three others are planned. The new Ivanov spy ship was launched the same day that President Vladimir Putin unveiled a new Russian maritime doctrine that divided naval operating areas into six regions: Atlantic, Arctic, Antarctic, Caspian, Indian Ocean, and Pacific. Russia’s priority for shipbuilding under the new doctrine will be ballistic missile submarines and nuclear attack submarines for its Northern and Pacific fleets. Russia is deploying a new class of nuclear missile submarines called the Borey-class and maintaining existing Delta III and Delta IV missile submarines. Another generation of submarines beyond the Borey-class is also planned for 2030 to 2050. A Russian embassy spokesman did not respond to an email request for comment. This entry was posted in National Security and tagged Navy, Russia. Bookmark the permalink.